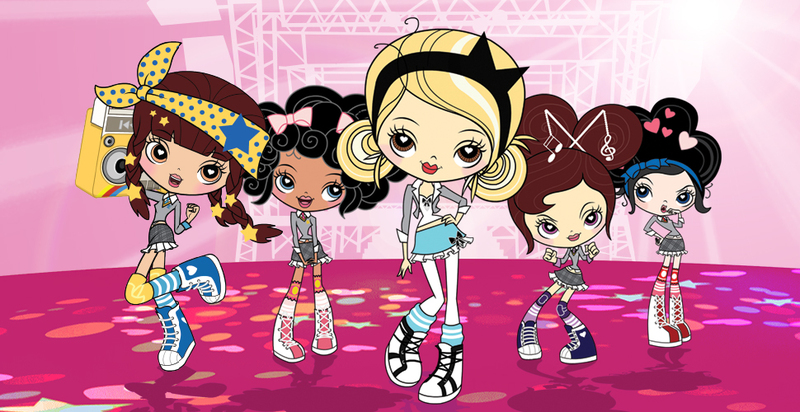 In Kuu Kuu Harajuku, the protagonists echo the unique style and magic of the original Harajuku Girls with animated Love, Angel, Music and Baby forming HJ5, a band driven by their inspirational leader, G. The girls are super talented but every gig is interrupted by a fantasy driven wild-card before the first note is ever played. Angry aliens, NoFun politicians, invading creatures and cute monster pets have foiled concert attempts – but G and her friends never give up. As a result, the series is a collision of cultures, a kaleidoscope of music, fashion and style.